Expertly crafted, each timepiece created by New York fashion brand Coach is designed with contemporary style in mind. Beautifully sophisticated, this stainless steel watch is gorgeously distinctive with its link style bracelet and bold indices. Stylishly minimalistic yet sure to stand out, this is the ideal addition to her wardrobe. 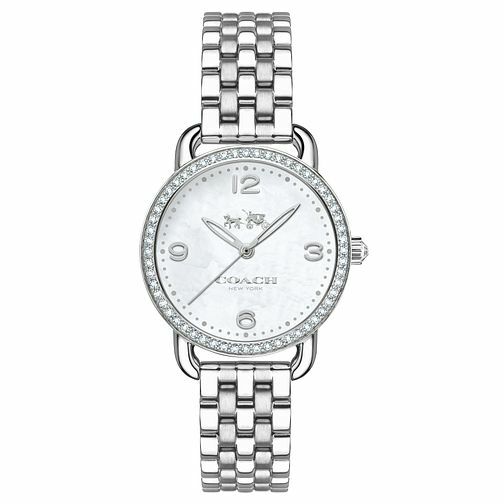 Coach Ladies' Stainless Steel Stone Set Bracelet Watch is rated 5.0 out of 5 by 1.